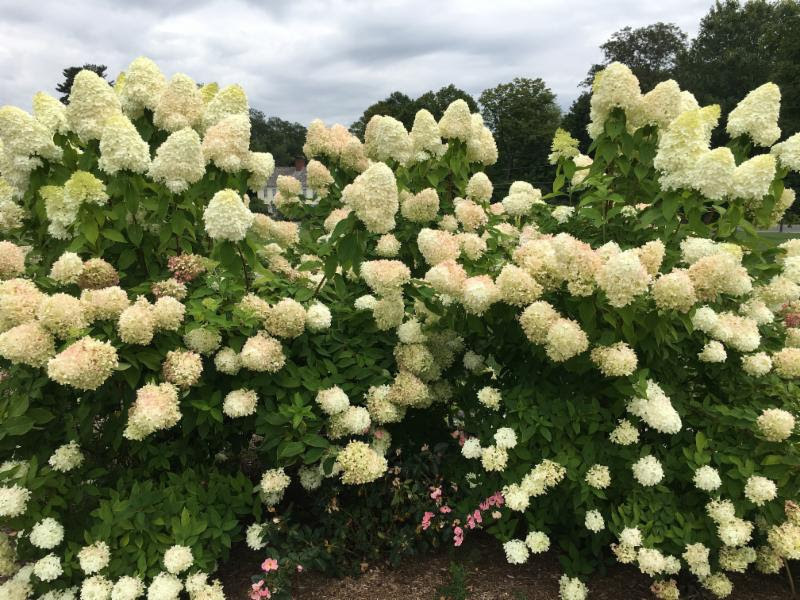 HYDRANGEAS…are one of Joanne’s and my favorite flowering plants. It was her mother’s also. Maybe it was inherited. 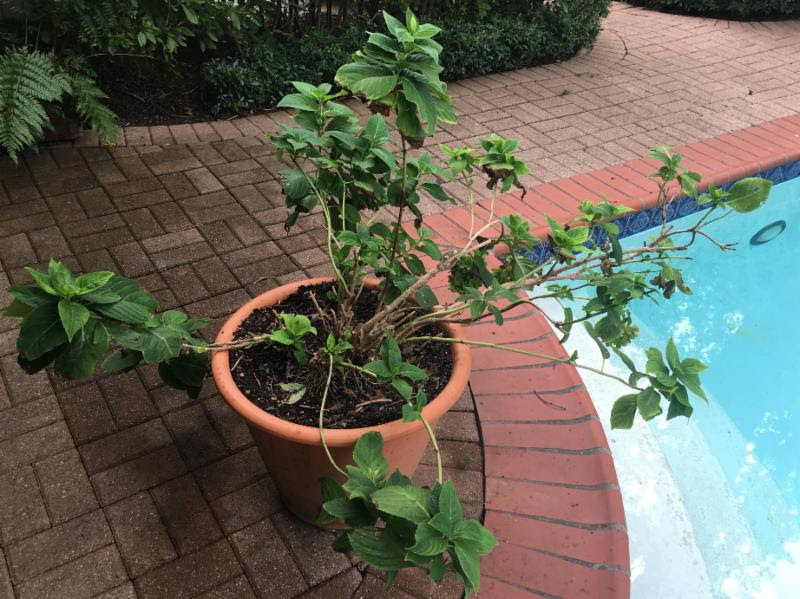 We have planted them in numerous pots around our pool for several years now. While the predominant color is white or creamy white, they also bloom in blue and pink, at least in our yard. And interestingly, some change colors after they bloom. God likes to play with us. Seems like the last several years, up until this summer, the plants just got more and more full and beautiful. But the intense heat, 100-degree plus days this year did a number on ours. To the point that they stopped blooming, and even began wilting, branch by branch. Quite sad! 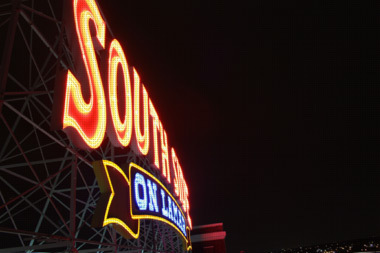 Hope they come back next year. And to make things worse, we spent Labor Day weekend with our family in Great Barrington, MA. where we saw what ‘real’ hydrangeas are supposed to look like. I was continually taking photos. Just couldn’t get enough of the beauty. Of course I starting thinking of what God was saying to me in all of this. And speak he did! We were studying the parable of the soils recently. 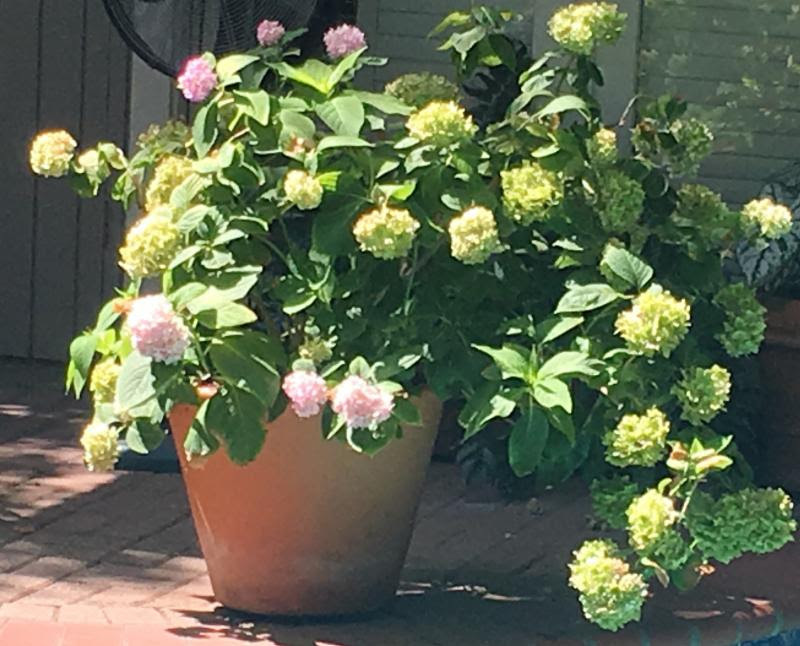 My thoughts were directed to the corollary between these hydrangeas and my life in Christ. In Matthew 13 Jesus taught the multitudes about the different kinds of soils to make a point to them and to us about four different levels of receiving and embracing truth. Here is how he developed it. “Behold, a sower went out to sow. And as he sowed, some seed fell by the wayside; and the birds came and devoured them. Some fell on stony places, where they did not have much earth; and they immediately sprang up because they had no depth of earth. But when the sun was up they were scorched, and because they had no root they withered away. And some fell among thorns, and the thorns sprang up and choked them. But others fell on good ground and yielded a crop: some a hundredfold, some sixty, some thirty” (v. 3b-8 NKJV). Jesus then explained the parable as recorded in vss. 18-23. I’ll paraphrase. The seed is the word of God. The first seed was sown in shallow soil where Satan snatched away what was sown in his heart. The second seed was sown on the rocky soil where it was received with joy but had no roots. While it endured for a while, trials came because of the word, and he stumbled. The third seed fell among the thorns and received the truth but got choked out by the cares, riches and pleasures of life–and he was not fruitful. BUT, aren’t we glad there is this word–some seeds fell on good ground, where it was understood and embraced and bore fruit, much fruit–30/60/100 fold. 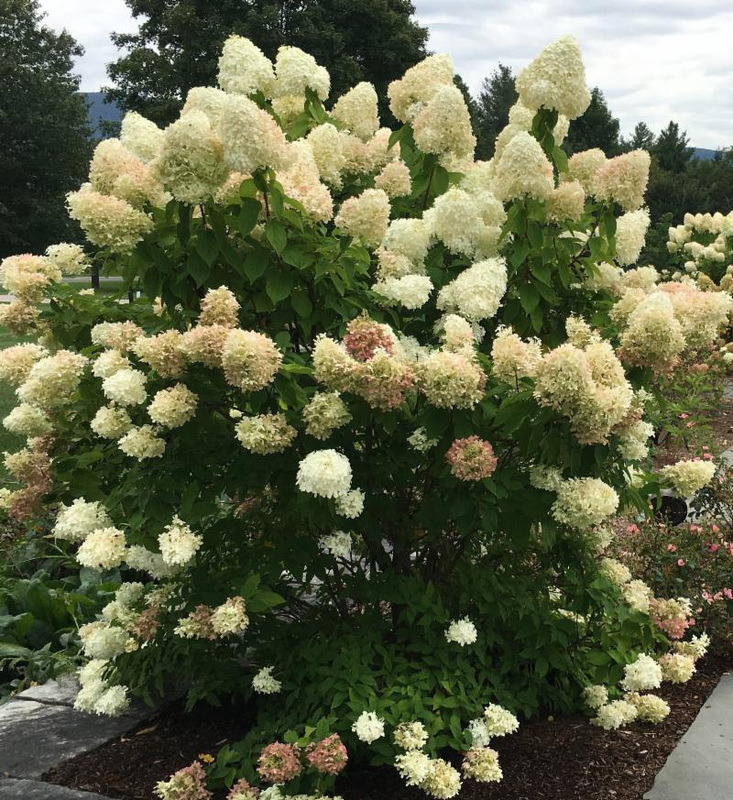 These photos really brought this home as I watched our hydrangeas bloom early-beautifully–and then to watch the sun and intense heat simply destroy them–then to see the gorgeous ones in Great Barrington producing thirty, sixty, even a hundredfold. There they have trees of hydrangeas. Obviously, their climate and soil are perfect for the plants to flourish. Which is really the point to all this. Have you ever done a ‘soil test’ on your faith walk with Jesus? Maybe you should. After reading Jesus’ explanation of the parable, be honest with yourself; just where do you fall? If you’re reading this I strongly suspect you are not soil one. But have the trials of life, the enchantment of the world begun to choke out your relationship with him? It can be very subtle. Most of us don’t stop long enough to take inventory. Even if it is ‘church buzyness’! As you’re defining your soil level, maybe you could examine the fruit being produced in and through your faith walk. Plants don’t do–they just become. As some would say, we are human beings, not human doings. Just as these beautiful hydrangeas point us to something more glorious, their Creator; so should our fruit. And like the nutrients flowing from the roots through the branches, so should the Spirit of the Living God be doing the same in and through your life. But, Bill, how will I, others, recognize this fruit? What will they see and experience?